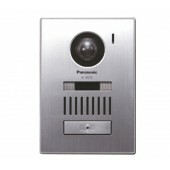 Panasonic introduces a video intercom that uses wireless communication to keep your entire house safe. 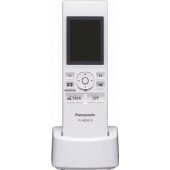 The handy sub monitor can be easily carried about, so you can greet visitors from anywhere in the house, and check conditions at any location you want. 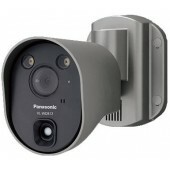 You can also add on the optional Wireless Sensor Cameras and the sub monitors, and they're all wireless, so no wiring work is needed and installation is fast and easy. 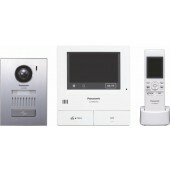 This flexible system lets you install the cameras and monitors wherever you want, to match your family's needs. 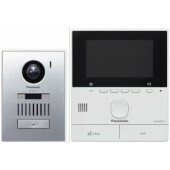 A recording function is also included, so safety is assured even while you're away from home. See how wonderful it is to feel safe, sound and comfortable. Wireless Monitor Station (Sub Monitor). Languages: EN, PL, HU, RO. 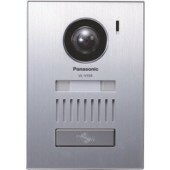 Flush mount door station. Languages: EN, PL, HU, RO. 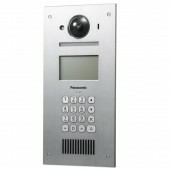 Flush mount door station. language support: EN, DE, FR, NL, ES, IT. Surface mount door station. Languages: EN, PL, HU, RO.